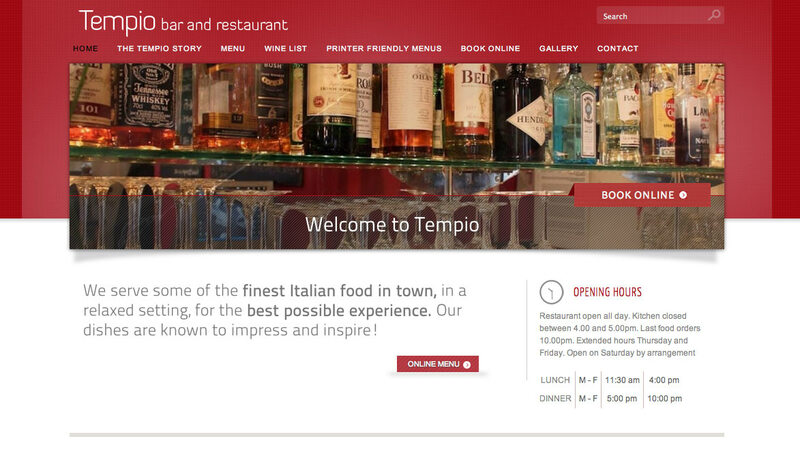 Tempio is an Italian restaurant set in the heart of the mysterious and intriguing Temple district home to solicitors, barristers and judges. Tempio is very much a neighbourhood eatery with most of its trade at weekday lunch time. 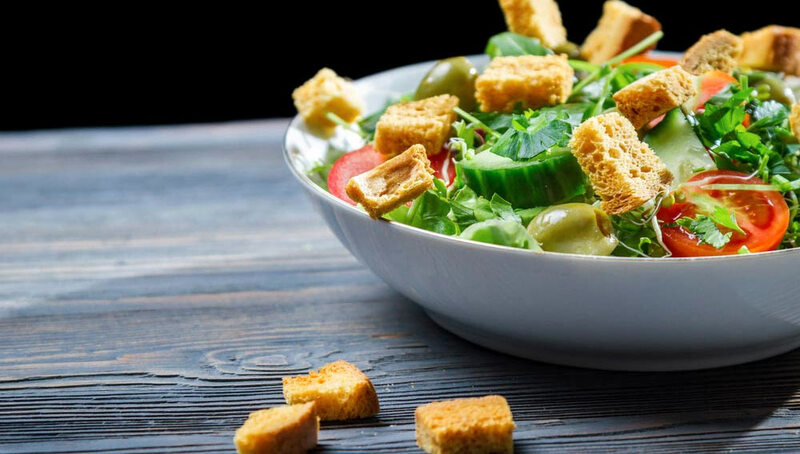 Mary Scheggia, the owner, wanted a site that made bookings easy, made the food and the venue look enticing and would help her to expand the business operating hours. Mary is a lovely person but by her own admission not the easiest client to work with because her job is so demanding. I was pretty much left to my own devices to write my own brief, write the copy, organise the images and make the marketing decisions for search engine analytics. Happily my instincts were sound and though she always had something to say that caused me ‘trouble’ she is pleased with the site. 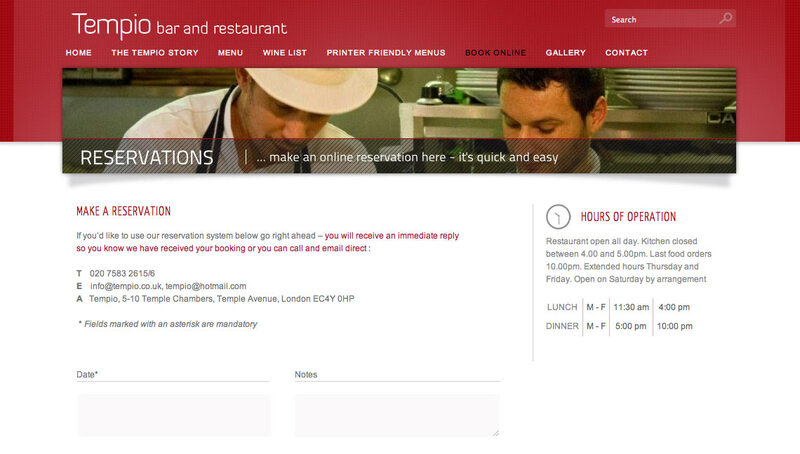 Finding the right look and feel for a restaurant site is a demanding design brief. Representing in two dimensions an experience we have with all five senses is difficult. Making food look good in photographs is surprisingly hard as is capturing the restaurant atmosphere. Built with WordPress Content management System (CMS) the site is robust, secure and standards compliant for browsers. Easy for the client to update the CMS system hides the coding complexity enabling menu revisions and special offers to be made easily and quickly.